There’s more to precious metals than just gold. Silver is a popular gateway into precious metals investing thanks to its lower price point. You can buy 1 oz. silver coins for a fraction of the cost of a gold coin. Silver doesn’t tend to attract the same amount of attention as gold, but it can be just as useful as an investment tool. Many precious metal investors buy gold and silver coins or bars, and there’s a good reason for balancing your precious metals investment between the two. The reason for this split is because silver often moves faster than gold, both up and down. Bull markets tighten the gold-silver ratio while bear markets expand it. The gold-silver ratio refers to how many ounces of silver it takes to buy one ounce of gold. Historically, the ratio has been steady at around 15, but today silver is extremely undervalued, with the ratio hovering around the 80s. Gold provides precious metals investors more security, while silver shows higher growth potential. Investing in silver means putting your money into the physical ownership of silver, or the production or trading of silver. Silver is a commodity like lumber or oil, but precious metals tend to act a little differently than other commodities. While there is a high demand for silver for industrial and commercial purposes, going into electronics, jewelry, medicine, and other industries, much of its value is due to its status as an investment vehicle. Silver prices are affected by industrial demand, but like gold, tends to be driven more by investment market demand. Since silver doesn’t pay dividends or interest (unless you lease it, but that’s something only major banks can do), silver demand runs opposite to stock market performance. There are more ways than one that you can add silver to your portfolio. By far the most reliable way to invest in silver, silver coins and silver bars are also among the most popular methods. It’s straightforward and you can usually sell at any time at market prices. There are no third-parties involved, and therefore lower risk. Make sure you are buying pure silver bullion coins and bars if you choose to go this route. If you are looking for the current price of silver, you can easily find it from an online silver shop. You can also save money on premiums when you buy silver online. You can also invest in the silver futures market – investing in silver trading. It’s an effective way to profit from silver volatility, as you can profit from declining silver prices. Do your research into how futures trading works. Mining stocks come with considerable third-party risk. You are only tangentially investing in silver prices. As with any time you invest in stocks, you are really investing in the particular company’s management and ability to make a profit from silver production. A poorly managed mining company can still run into problems when silver prices are increasing. Silver is a great investment vehicle for those who want an asset that moves counter to the stock market. 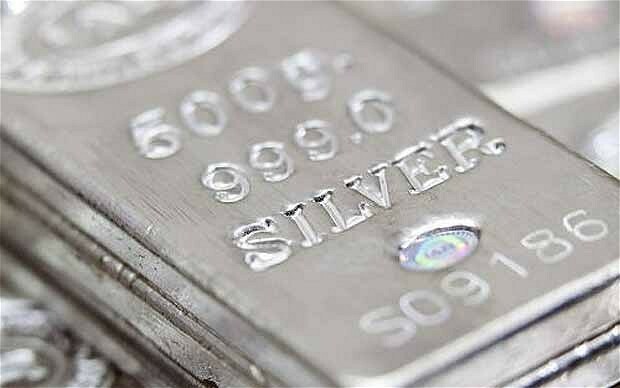 Buy silver coins and silver bars, try silver futures, or invest in silver mining companies to get in on the action.